For as long as I can remember my dad harped on me to “eat my protein” in every meal. He called it my “body fuel” and absolutely insisted that I eat something with protein at every meal. Now that I am older and understand the importance of protein to our diet – especially for someone who works out as much as I do – I am so thankful my Dad was so adamant about this little habit. However, even knowing how important protein is, I know there are days I do not get as much as I need just from my regular diet. 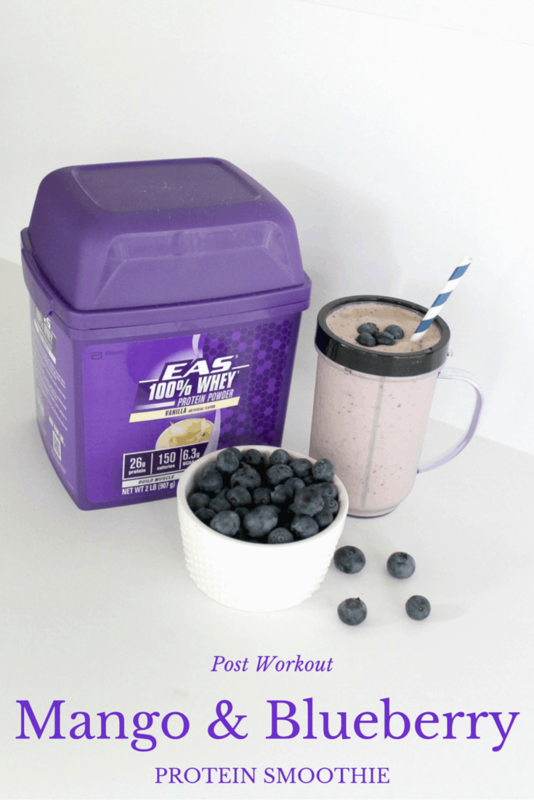 When I had the opportunity to team up with CollectiveBias to talk about EAS® 100% Whey Protein – the brand I already used and love – I was ecstatic to share! 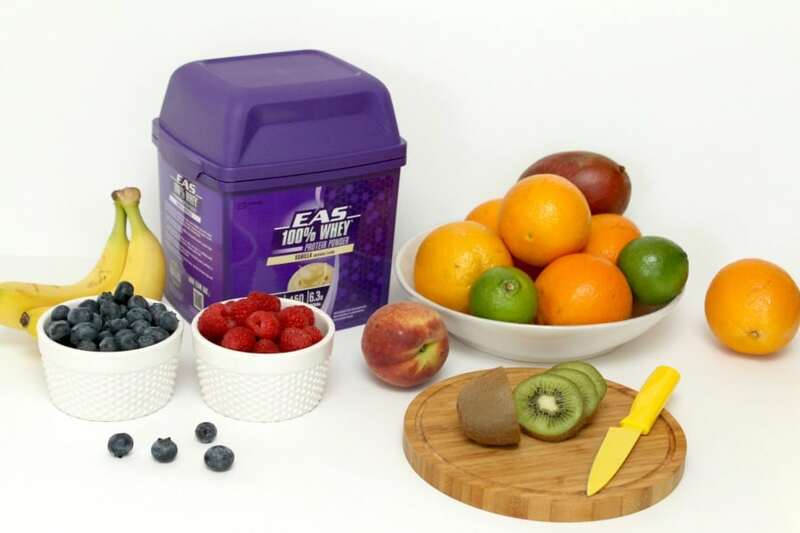 EAS® 100% Whey Protein is not only one of the tastiest of the protein powders that I have tried, but it offers 30g of protein per serving, which is the ideal amount needed after a workout. Since I teach six fitness classes a week plus have begun training for a marathon, I go through a lot of protein! But let’s face it… it can get really boring sometimes. Even with the options of chocolate and vanilla, sometimes I just need to change it up a little bit. 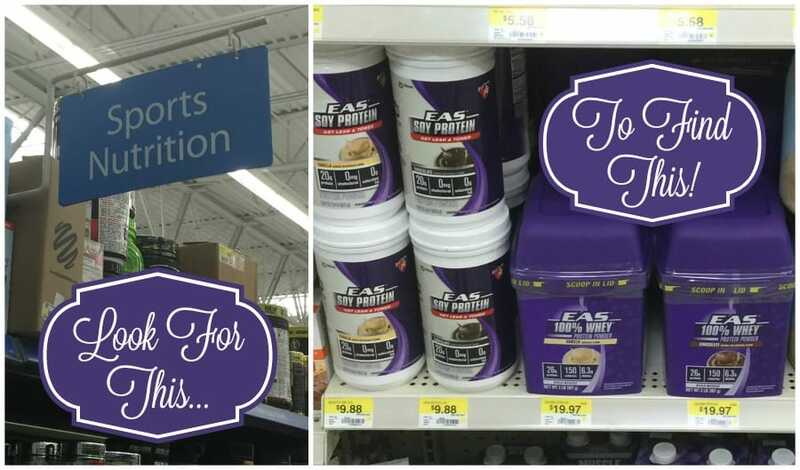 Every week I peruse the fresh produce section of my local Walmart and grab the 2lb package of EAS® 100% Whey Protein Powder. Their new, improved formula tastes great and helps me build stronger leaner muscle that I need to maintain my crazy active lifestyle. 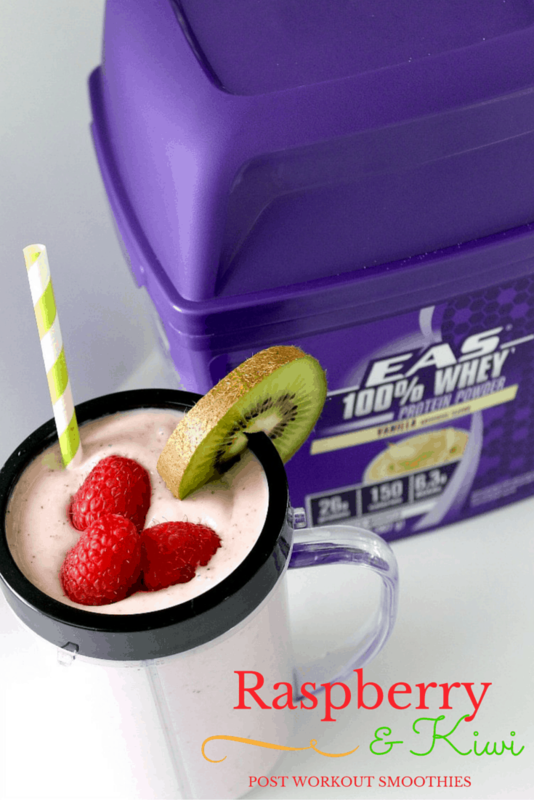 EAS® 100% Whey Protein is perfect for making delicious smoothies with your favorite fruits. I don’t know about you, but after I work out, the very LAST thing on my mind is putting something into my stomach. However, I know that it is recommended that you eat within 30 minutes of exercise to replenish and begin rebuilding the muscle from your workout. 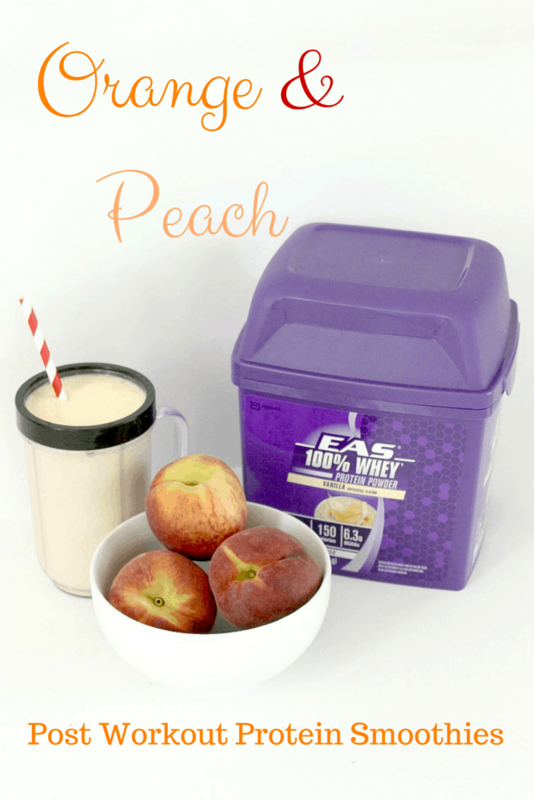 That is why I love being able to come home and throw some fresh cut fruits into the blender with my EAS® 100% Whey Protein to get the post workout recovery that I need without a lot of fuss and without putting something heavy on my stomach. Since there is no added fillers and no added sugar, I can still keep my smoothie balanced to my macros. I have tried a lot of smoothie concoctions, but these three are my absolute favorites. My favorite part is the simplicity of the recipes that are bursting with flavor. 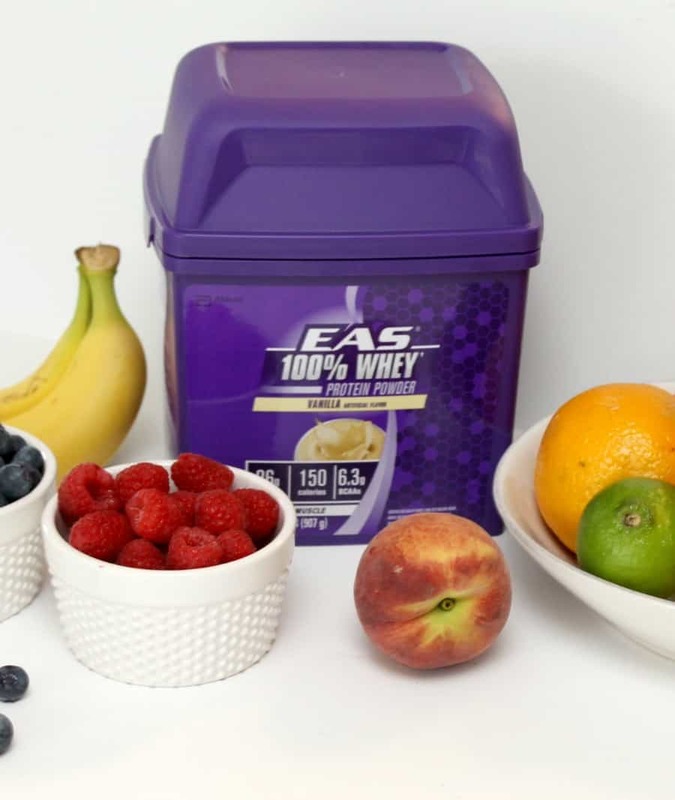 The Vanilla and Chocolate EAS® 100% Whey Protein Powders are delicious on their own, but add in fresh fruit and you have a smoothie that is out of this world! Peel and section your mango. Rinse blueberries and remove any stems. Peel and section your kiwi. Peel and section your orange. Peel and section your peach. How Do You Refuel After Your Workouts? I don’t like to eat anything heavy after a workout either. These smoothies seem like a great way to get the protein in! The organge & peach one is right up my alley.